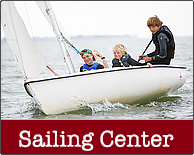 How can I find out about leasing space at Alameda Point? What is happening with the airfield area? The Navy and the US Fish & Wildlife Service reached an impasse in 2004 during negotiations for 549 acres of the runway area to become the Alameda National Wildlife Refuge. The refuge area has been transferred to the US Department of Veterans Affairs (VA). An additional 74 acres of adjacent land on the Northwest Territories was given to the VA by the City of Alameda so the VA could construct its medical clinic and columbarium. The VA will preserve 511 acres as open space for the protection of the endangered California Least Terns and other wildlife. The VA will also construct a Conservation Management Office that will include a public meeting room for conservation volunteers and educational functions. The VA currently contracts with the US Fish & Wildlife Service to manage the least tern colony that nests on 10 acres. 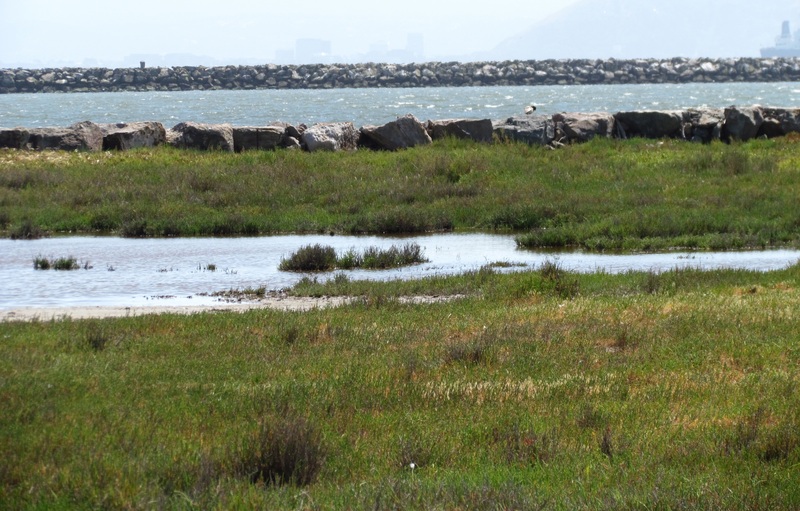 On March 19, 2013, the Alameda City Council adopted a resolution affirming its continued support for wildlife conservation on the area formerly planned for a wildlife refuge, and for zoning it “Nature Reserve." Current funding for the Nature Reserve is limited to the work of the Fish & Wildlife Service in managing the least terns. No funding currently exists for landscape enhancements, nature trails, educational and interpretive programs, climate change adaptation or a Bay Trail extension around the perimeter. The City of Alameda is currently in talks with the East Bay Regional Park District to create a regional park on the city property known as the Northwest Territories. The proposed regional park is located in the area where the monthly Antiques Faire is held. What is the current planning process for Alameda Point? These documents were completed and approved in February of 2014. Subsequently, the city approved the Alameda Point Waterfront and Town Center Specific Plan for the area around the Seaplane Lagoon. The city is selling some property parcel by parcel and others in blocks. The project for 800 housing units at Site A (part of the Waterfront Town Center) has been stalled until at least April 2018, while the developer seeks a financial backer. 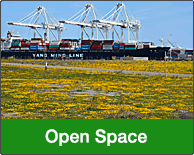 What is the Community Reuse Plan for Alameda Point? The Naval Air Station-Alameda Community Reuse Plan was adopted in 1996 as a guiding document for the conversion of the Navy base to civilian use. It is the guiding document for the No-cost Economic Development Conveyance of land from the Navy to Alameda that began in 2014. When will the Navy environmental cleanup be completed? Cleanup is being completed in phases. 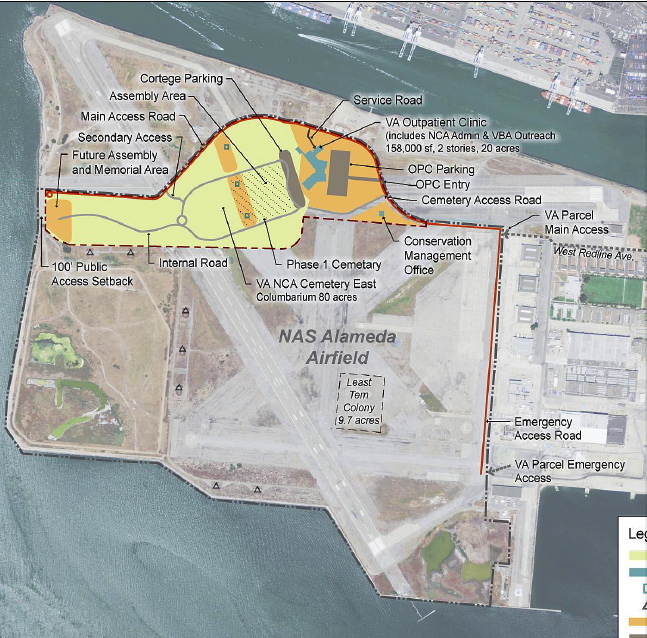 Most of Alameda Point has already been transferred to the City of Alameda and the U.S. Department of Veterans Affairs. 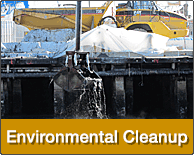 The projected date for completion of all cleanup by the Navy is 2022. The Navy will be responsible for ongoing monitoring of groundwater to ensure that the cleanup goals have remained effective. The "Finding of Suitability to Transfer" document spells out how the cleanup effort meets all of the federal and state guidelines for the residential and commercial uses that were agreed upon between the city and Navy in 2006. See attachments. Can a new bridge or tunnel be built from Alameda? 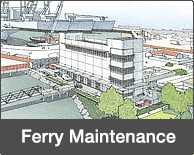 A new bridge is not feasible due to the height required by the Port of Oakland. A drawbridge is unlikely, as it would interfere with the rapid response requirement of the Coast Guard ships located at Coast Guard Island. We are not aware of any feasibility studies ever performed on the construction of an additional tunnel to Oakland. 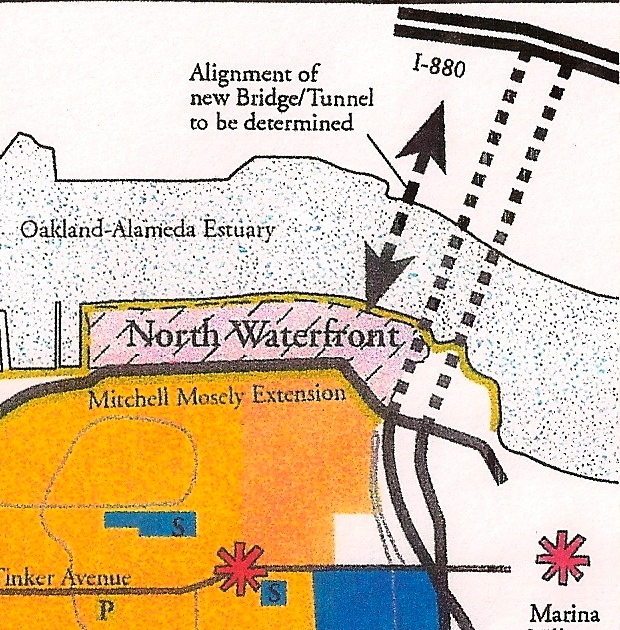 However, the 1998 “Draft Report – Alameda Point Financing Plan" assumes that no new bridge or tunnel will be built due to the report's educated guess that either crossing would cost between $300 and $700 million (in 1998 dollars). What businesses are currently located at Alameda Point? What is happening with the Veterans Affairs project? 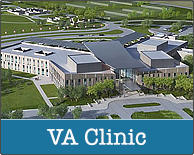 In an effort to consolidate and improve its Northern California service to veterans, the US Department of Veterans Affairs (VA) is planning a new state-of-the-art outpatient clinic and offices at Alameda Point. The facilities will be adjacent to the area designated by the city as a Nature Reserve. A columbarium is also proposed as part of this project. Total estimated cost to complete the project is $210 million. 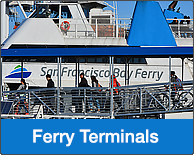 It will include a new roadway and underground infrastructure from the old Main Gate on the north side of Alameda Point, along West Redline Avenue, and out to the site on the runway area. Transfer of the land from the Navy to the VA took place in 2014. No commencement date for work has been announced.